The key to a glowing complexion is simple: cleanse and exfoliate well. Honestly, the best scrubs, cleansing oils and facial wash alone cannot clear clogged pores as the well as a vibrating sonic cleansing device. When I get congested pores around my chin and nose, I rely on the gadgets to cleanse them thoroughly. Sonic brushes with fine bristles do the job; but sometimes, they can be a little harsh on the skin, causing it to be more prone to sensitivity. This is where the Swedish Foreo comes in. Shaped ergonomically like a bar of soap, it has a curved egde with ridges on one side, and silicon bristles on the other. I feel that the slippery bristles cleanse and exfoliate the skin with lesser friction than the brushes. The blue one pictured here is made for combination skin, with longer bristles at the edge for deep cleansing the corners of the nose and chin that turns greasy easily. Flip the gadget to the other side and it can be used as an anti-ageing massager to contour the face. I like to use it on the lymph nodes behind my ears and jawline to reduce the puffiness on my face. The Luna 2 comes with 12 intensity options, and is available in four versions for normal, oily, combination, and sensitive skin. 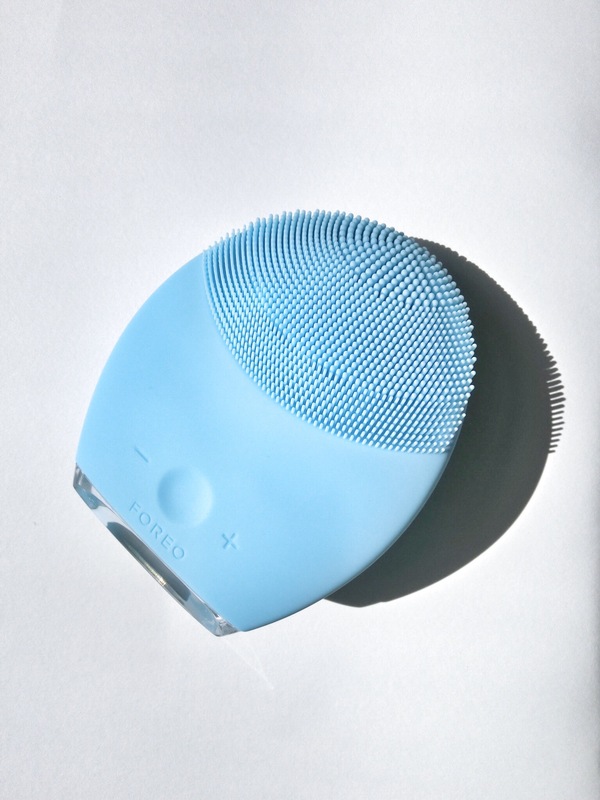 If you like, use the sonic cleansing brush if your choice once a week for a deeper wash; and the Foreo once a day for maintenance. This makes a good investment for the long term!